Vermin such as cockroaches and drain flies populate our sewers. 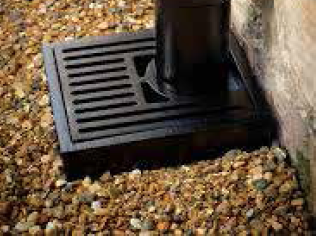 EzyDrain's one-way mechanism helps keep them down there and out of your home. Incorporating colloidal silver into the ABS plastic formula, EzyDrain provides continual proven antibacterial action that cannot wash or wear away. Fumes and smells can rise up from the sewers making our homes unpleasant and potentially a health hazard. Block them with EzyDrain. Does your laundry floor become covered in suds from the washing machine? EzyDrain can prevent excessive back flow from damaging your floors. Prevent insects and other vermin excessing your tank. The incorporated colloidal silver helps keep your water clean and disease and bacteria free. Drain flies can be an issue outdoors. EzyDrain reduces annoying drain flies around your drain outlets outdoors.